The Best Travel Podcasts from thousands of Travel Podcasts on the web using search and social metrics. Subscribe to these audio podcasts because they are actively working to educate, inspire, and empower their readers with frequent updates and high-quality episodes. Travel Podcast newsletter is a comprehensive summary of the day's most important audio podcasts episodes from the best podcasters on the web, and delivered to your email inbox each morning. To subscribe, simply provide us with your email address. About Podcast The Budget-Minded Traveler podcast is a trusted source for the inspiration and practical tips that make international travel accessible to everyone. If you want to see the world, you can make it happen, and Jackie and her world-wandering guests will help you get there. Facebook fans 6,380. Twitter followers 410. Colorado, USA About Podcast Travel the world your way and spend less money. Discover travel jobs, travel hacking, budget travel advice, online business for digital nomads, and more. Facebook fans 5,061. Twitter followers 1,663. San Jose, CA About Podcast Each episode of Amateur Traveler focuses on a different travel destination. We focus on why you should go there and what should you do for a one week itinerary. What should you see? What should you do? What should you eat? A typical episode is an interview of someone who has visited a destination, lives at a destination, or wrote the book on it. Facebook fans 5,366. Twitter followers 28,004. On the road About Podcast Indie Travel Podcast is a travel site by full-time travellers which provides sweet travel advice for independent travellers. If you are the kind of person who would rather listen than read, you may just have found your new entertainment for the gym or your ride to work. You can listen to travel tips, find out about new destinations and get a little inspiration through their blog or podcast. Facebook fans 5,373. Twitter followers 17,570. Global About Podcast Abroaders was founded in 2013 in Bali, Indonesia. The founders were wrapping up a life-changing 3-month adventure across Asia, drinking cocktails on a beach, discussing how everyone should have the opportunity to go on similar adventures. At that point, the founders agreed to put their web agency business on hold indefinitely, and devote all of their time to traveling and helping others pursue their travel dreams. Thus, Abroaders was born. Our mission is to reduce the cost of your airfare. Facebook fans 2,705. Twitter followers 21,106. Facebook fans 2,407. Twitter followers 6. About Podcast The weekly show which covers travel, traveling, and the travel industry. About Podcast Every week, we sit down with creatives, executives and entrepreneurs from across the travel industry to discuss their insights and perspectives on the how and why travelers' habits, industry patterns and the seismic changes happening to each. St. Louis, MO About Podcast We are Cole and Elizabeth, two married twenty-somethings who spent a year visiting all 59 U.S. national parks. We camped in a tent, wore out our hiking boots, and took way too few showers. Now we’re home in St. Louis, but we have yet to slow down. Peruse our website for podcasts reflecting on our year in the parks! Facebook fans 1,955. Twitter followers 1,651. 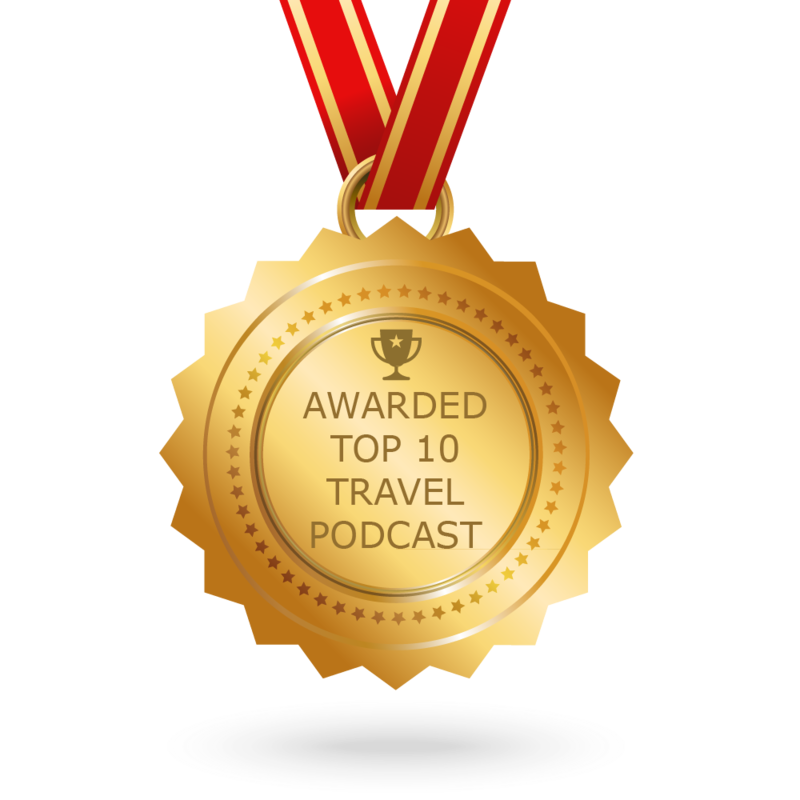 CONGRATULATIONS to every podcast that has made this Top Travel Podcasts list! This is the most comprehensive list of best Travel Podcasts on the internet and I’m honoured to have you as part of this! I personally give you a high-five and want to thank you for your contribution to this world.